Cotton candy: the stuff childhood dreams are built of. There’s just something about its inherent fluffiness and pastel colors that never fails to put a smile on my face. When I was a kid, I used to dream about going to the summer fair just for cotton candy. I’d walk around in awe, staring at everyone running around with their giant sticks of cotton candy. I yearned for a stick of my own, but my mom always bought us cotton candy in bags instead of on a stick. I’d beg and beg for cotton candy on a stick but my mom always said no. Every single cotton candy I consumed was suffocated in a plastic bag, never to feel the breeze on its spun sugar skin. My mom justified her horrible cotton candy bag suffocation ways by saying that I would never end up finishing the whole thing and the cotton candy would end up in a bag anyway. Still, I longed to lick a cotton candy stick of my own. 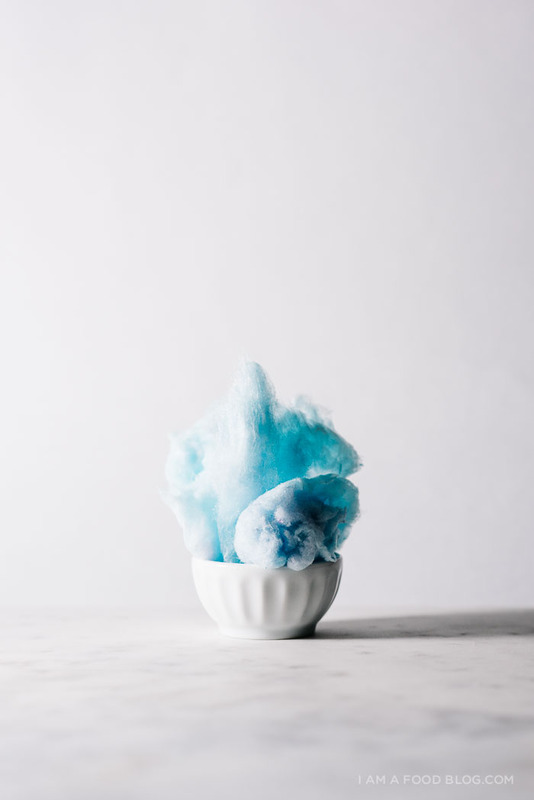 One glorious year – when I was six, after watching the cotton candy makers put the cotton candy in bags, it dawned on me that if they could put it in, I could take it out. When my mom was distracted, I carefully tried to pull out my pastel pink cloud out of the bag. It turned out to be more difficult than I imagined, probably because the bag was practically the size of my whole body. But I did it and had cotton candy on a stick! It was GLORIOUS. I licked it like a giant ice cream cone, but then, because I’m me, the entire thing flew out of my hands, past my head and on to the concrete of the fairgrounds. I promptly burst into tears, but friends – it was worth it. I’m still obsessed with cotton candy today, so when photos of a LA cafe with the cutest bear lattes and cotton candy affogatos, popped up on my Instagram, I knew I had to give it a try. How could I not? 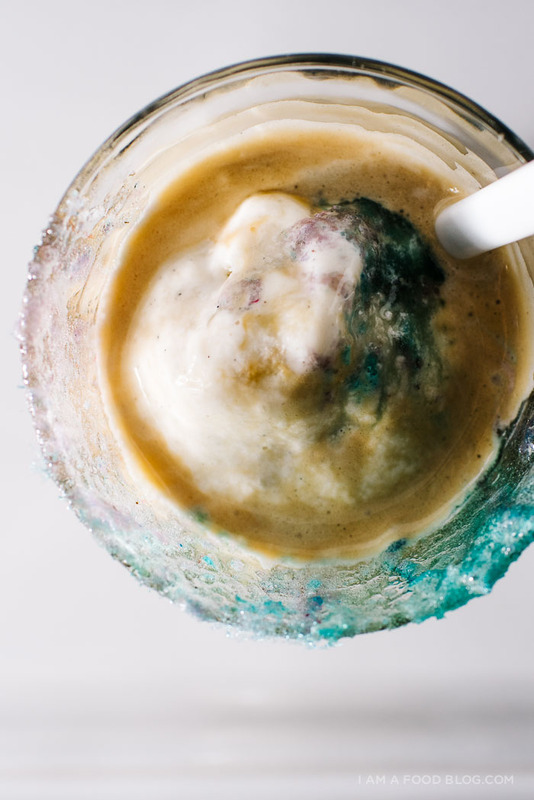 Ice cream, cotton candy and espresso together as one pretty much sounds like a dream. 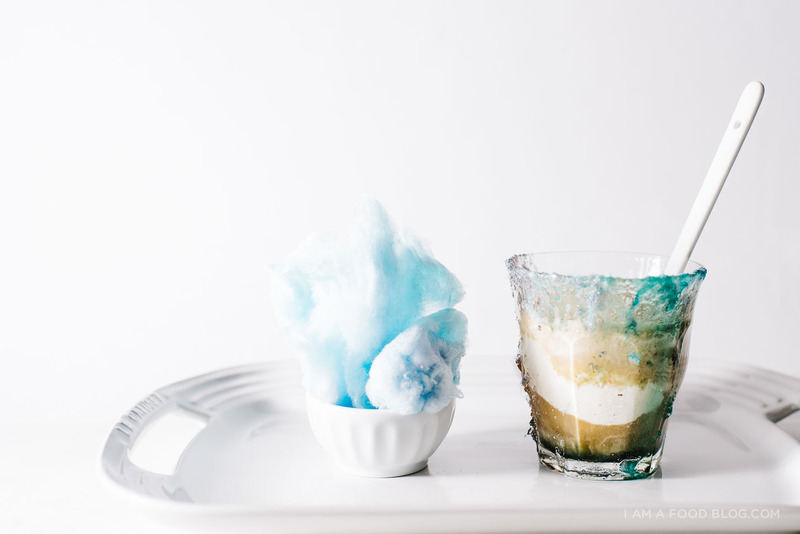 Cotton candy affogato is essentially a giant scoop of ice cream topped with cotton candy and served with espresso on the side. 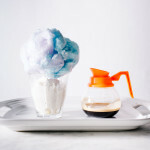 You pour on the espresso at the table and the coffee magically melts the cotton candy into your coffee. 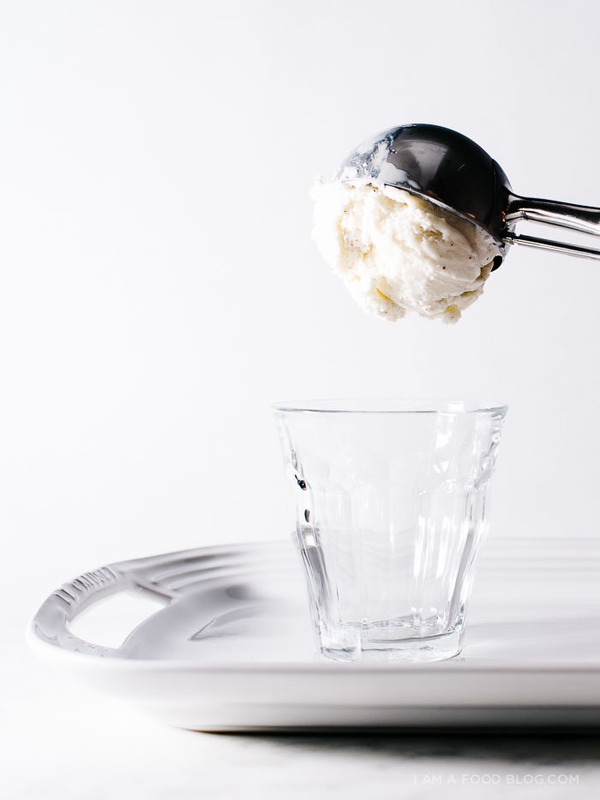 It’s sweet, creamy, cold, hot, and most of all, fun. Sounds simple right? The hardest part was getting the cotton candy: apparently people don’t make snow white cotton candy on the regular. I used some pretty blue-purple instead and after pouring on the coffee I quickly realized why Cafe Maji uses white. The colors of my cotton candy bled all over and ended up looking a bit like rainbow massacre, but the whole thing was incredibly fun. Full disclosure: Mike thought this was absolutely disgusting. Meanwhile, I was in cotton candy-ice cream-coffee heaven. It tasted way better than I thought it would. It was definitely a sugar bomb but one that I’d definitely detonate again! If you ever have any left over cotton candy, I hope you give this a go. It’s renewed my obsession with cotton candy. I almost want to buy myself a machine so I can fulfill my life long dream of being a cotton candy maker. You guys would buy some from me, right? Place your ice cream in a cup and top with cotton candy. Pour espresso over top. 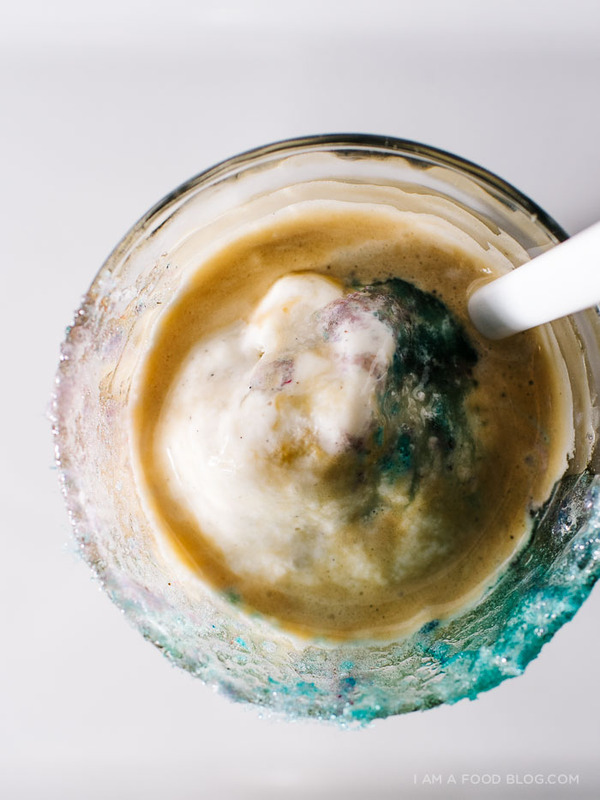 Enjoy with the unabandoned glee of an adult eating ice cream, cotton candy, and coffee. OMG. this is gonna break the internet. STEPH. This is AMAZING. You just made my morning!!! 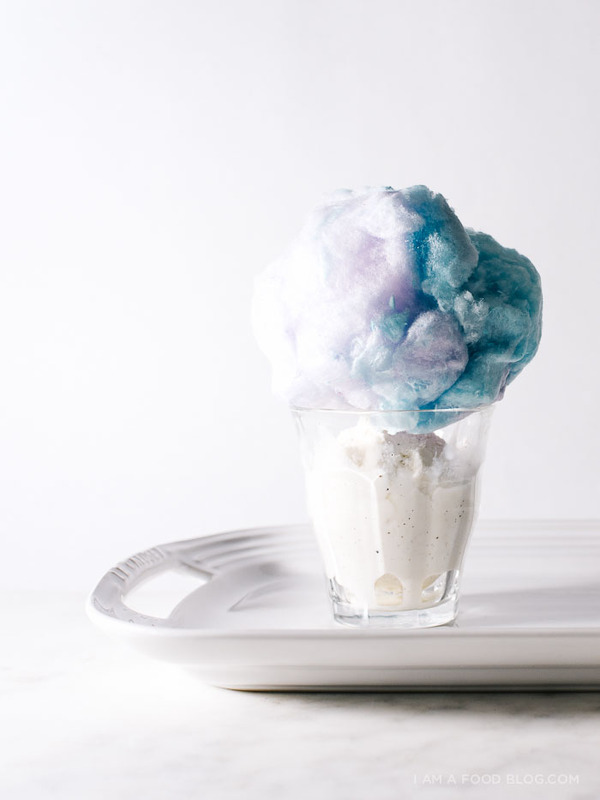 Who knew cotton candy with drinks is a thing?! Wowow! This looks more fun than tasty, but so much fun! i’m in love with all of this. most of all this cotton candy affogato which is blowing my mind, but close seconds — little-steph stories, which always make my day, rainbow massacres, and “it was definitely a sugar bomb but one that i’d definitely detonate again” = best phrase i’ve read in ever. so, so incredible, Steph!! Ok but is it weird that those gorgeous shades of blue just make me think of your hair?! SO SO PURTY. OMG on your insta I was like I live near (ish) a place that does this and that place was your inspiration! It’s so cute. Still haven’t tried it but want to, especially now. Omg omg omg now I am a bagillion times sadder that I missed the fair this year!!!! I will have to try this very soon because COTTON CANDY!!!! that is the tiniest, cutest coffee pot. <3 this idea. I just love this blog sooooooooo much! It drives me insane. I might be a super fan, or you’re just dominating! I’m on your team for this one. This is a spectacle and a treat! ‘Twould be amazing for entertaining/ small parties. As a wee one, I used to watch the TV show Angelina Ballerina, and the little mouse characters were English so they called cotton candy “candy floss” which I have always found just adorable. This is incredible!!! 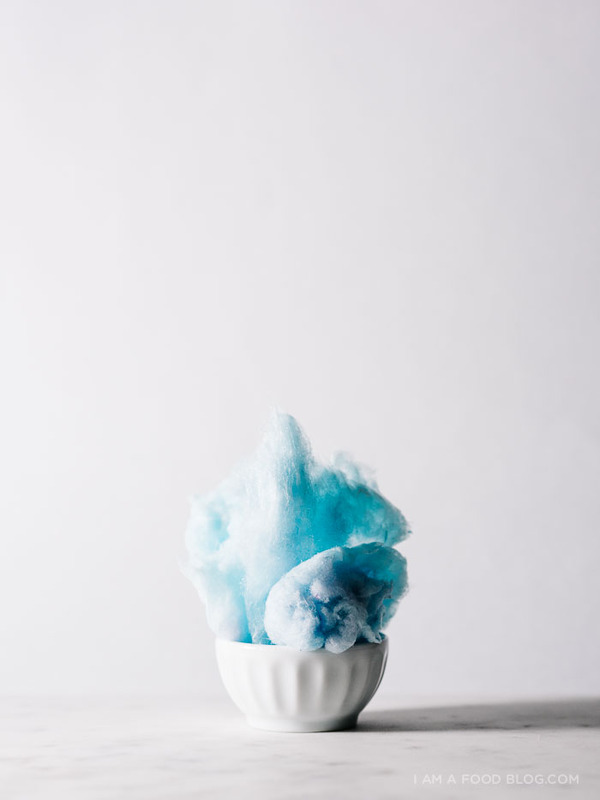 Granted, I used to always want cotton candy as a kid, and after a few bites would feel nauseous, but I still want to try this all the same! This is so beautiful! Kind of an art! I just noticed that you are living in Japan ! I am a Japanese living in Tokyo. I really love your blog, big fan of yours and was so inspired by you that I also started my food blog(yet, not good enough to put my URL down)! Hope you have a wonderful day : ) Don’t get sick because of this Japanese hot and humid summer! Um, this is amazing. So much fun. And the flavor and color combinations are endless, amirite!? Beautiful shots, Stephanie! This is a little bit ridiculous. But I like it. A LOT! cafe maji is awesome! one of my favorite cafe! 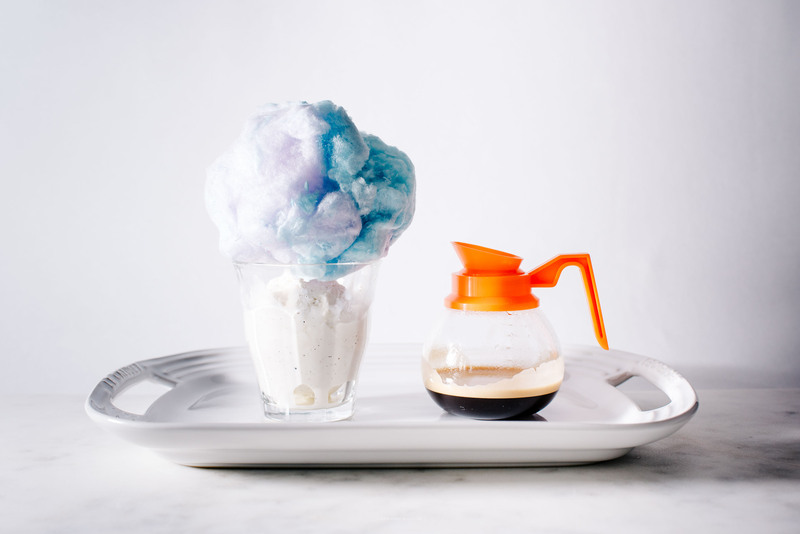 I really like the idea to try this combination: ice cream, cotton candy and coffee. It’s an original combination and it looks very good. I’m sure I will try this recipe. This is amazing! I love cotton candy!